See all the pumpkins around you? Soon the holidays will be upon us, and it's never too early to think about homemade food gifts. 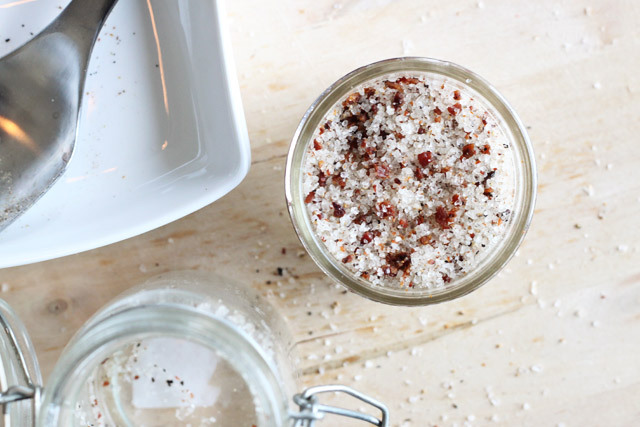 On second thought, who says you need to wait until the holidays to gift a lucky someone with homemade bacon salt? On third thought, who says you need to give this away at all? To learn how to make this practical-yet-elegant gift of homemade bacon salt, visit Formal Fringe.